The Jain Society of Central Florida serves Jains in and around the Orlando, FL area. Jain Society of Central Florida (JSOCF) celebrated the Paryushan Mahaparva with a lot of enthusiasm and participation from its Sangh Members. Just like last few years, JSOCF has been very fortunate to have scholars visit us during the Paryushan. This time, Smt. Tarlaben Doshi gave lectures on Jainism. JSOCF also organized Ekasana for all 8 days of Paryushan Mahaparv. They celebrated Supan Darshan/Mahavir Janma Vaanchan with a participation of about more than 225 sangh members. More than 150 people did Samvatsari Pratikraman. During Das Lakshan Parva they had daily Abhisheks and Lagu Shanti Puja conducted by Digambar Sangh members. Also organized Ekasana for younger pathshala kids and more than 20 kids performed this Tapasya. Jain Society of Central Florida hosted Fall Picnic in November month at Sanlando Park. It was attended by all age group from kids to senior citizens and had great turnout. Here are some photos from the picnic. Jain Society of Central Florida (JSOCF) celebrated the Paryushan Parv this year in the presence of Jitubhai Shah (Phd,). There were daily seva/puja at the Derasar. It was followed by discourse from Jitubhai in the morning and evenings. These lectures were streamed live on Youtube for the benefits of everyone who were not able to make it to the temple. JSOCF celebrated the Sapna Darshan of Trishla Mata and Samvatsari Pratikraman. JSOCF organized daily Ekasana during the 8 days of Parushan. Paarnas were organized for all the tapasvi’s at the end of the Paryushan parv. Das Lakshana parv was celebrated with Dev Shahstra Puja every day. Every evening there were online lectures. One Shravak did a Sidhi Tap. Three tapasvi did 10 upvaas and 9 upvaas, There were 14 Athais (8 upvaas). There was a 13 year old who did Athai (8 upvaas). JSOCF also celebrated the 5th Annual Dhwaja raising ceremony of Anila Vijay Poonai Tirth under the guidance of vidhikar Shri Narendrabhai Nandu. This year there were 18-Abhisheks of all the Bhagwan and Dev/Devi on Saturday September 2nd. Dhwaja was raised for the mulnayak Bhagwan Mahavir as well as all the 24 Tirthankars and Dev/Devi’s in the Bhamati on Sunday September 3rd. JSOCF continued the Aaymbil during the Parushan parv which is being done every month for the past 8 years. 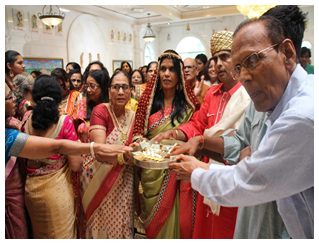 Jain Society of Central Florida recently had Vardhman ShakraStav Abhishek and 108 Parshwanath Pujan at the temple. Here are some photos of same. 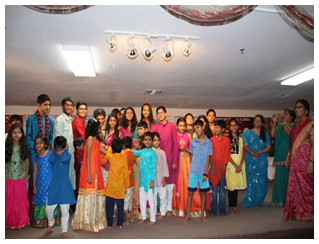 Jain Center of Central Florida celebrated Mahavir Jayanti 2017 with morning puja, cultural program and quiz "Kaun Banega Sabse Bada Gyani". Here are some interesting photos from the celebration. 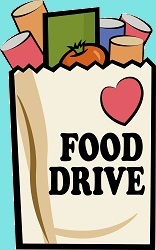 As part of Anukampa Dan/Food drive, Jain Society of Central Florida took the food to homeless people on Saturday, December 31st. Where volunteers distributed lunch box containing 100% Jain food. Kids/youths/adults had prepared food and went to deliver in downtown. There were many other volunteers who helped with this event. JSOCF appreciates their help. JAINA appreciates such a great initiative of JSOCF and gives anumodna to all Jain centers to keep up the good work as always. JSCF recently celebrated Mahavir Nirvan Kalyanak and Diwali function with various activities. They had started with aarti and Navkar Mantra, children then performed skits on puja and Akbar Birbal story, qawali, dance, song etc. Adults enjoyed playing garba. They also had Samivatsalya dinner. For more detailed temple hours, please contact JSOCF.